Contest: 'CREED II' - Win special edition Nike Huarache shoes, branded boxing gloves, shorts and more! 'CREED II' - Win special edition Nike Huarache shoes, branded boxing gloves, shorts and more! 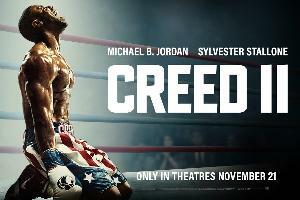 Prize: CREED II prize pack, including special edition Nike Huarache shoes designed by star Michael B. Jordan, branded boxing gloves and boxing shorts, a T-shirt and run-of-engagement pass good for two to see the movie after its November 21 release. Statistics: This contest was opened by 98 and entered by 4 ContestChest.com members. 4% of those who opened the contest, entered it.